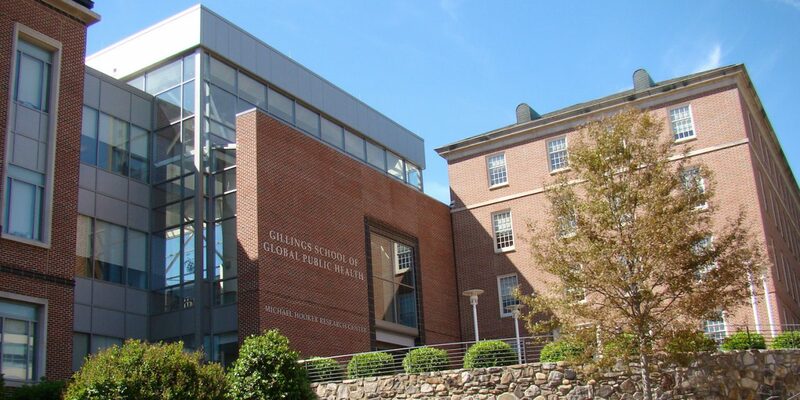 The Carolina Global Breastfeeding Institute at UNC’s Gillings School of Global Public Health received more than $500,000 from Blue Cross and Blue Shield North Carolina to help 61 hospitals in under-served North Carolina communities improve their maternal and early childhood practices. The money will help cover the fees the hospitals pay to gain the internationally-recognized “Baby-Friendly” designation, used by the World Health Organization and UNICEF to highlight hospitals that provide optimal education and services in maternal care. Those fees are often too large of a financial barrier for smaller hospitals, Catherine Sullivan, director of the Global Breastfeeding Institute said. With these newly available funds, hospitals can more easily pursue the set of practices required to be “Baby-friendly,” which include teaching hospital staff proper breastfeeding techniques and having newly born babies be roomed-in with the mother for most of their stay in the hospital. Sullivan, who is also an assistant professor of maternal and child health at the Gillings school, said that “Baby-friendly” practices lead to better health for both mother and child. Neo-natal care, focused on new-born babies, has been shown to have important long-term benefits, Sullivan said, but best practices aren’t always realized in hospitals. In the first days, promoting frequent contact between mother and child helps babies regulate their internal temperatures, Sullivan said, and allows mothers to learn important behavior cues. The baby-friendly program promotes breastfeeding, but the programs serve all mothers, Sullivan said, those who breastfeed or those who choose to feed with formula. Currently, there are 15 hospitals in North Carolina that are designated baby-friendly. There are two in the Triangle, both in Chapel Hill: UNC hospitals and the Women’s Birth and Wellness Center.